Refrigerated product. Yarra Valley home delivery only. 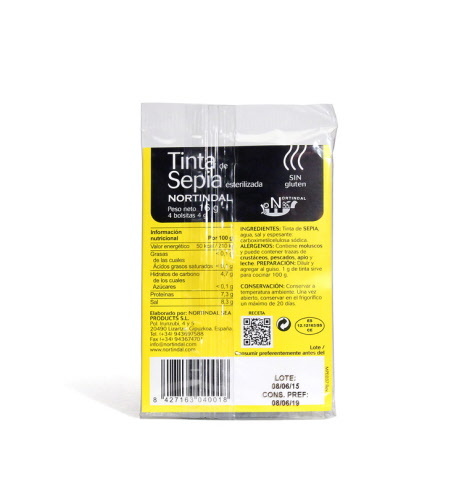 For over 50 years, the Nortindal Sea Products company has been gathering the finest harvest from the sea: in the heart of the Basque Country, in the corner of the Bay of Biscay. The stunningly dark earthiness of squid ink creates a roundness on the palate that cannot be compared.